The piece “To Share” considers the ethical implications of the act of sharing between the real and the virtual world. The ease of replication and transfer in digital forms creates a crisis within the culture of ownership. This ethical confrontation has existed in the notions of the public and private spheres within democratic societies since their inception, and has continued relevance in the face of new technologies and their conceptual potential. The library as a public space and resource, with a mission of general access to material is the precursor to information access that digital technologies give hope to. Access to information is essentially a democratic act. To enact this ethic of sharing between the physical and the virtual I have personally checked out a periodical on the Greenham Common Women’s Peace Camp blockade of the 1980’s. I have extended this act of sharing through a digital re-publication of this out-of-print periodical as a work of art. 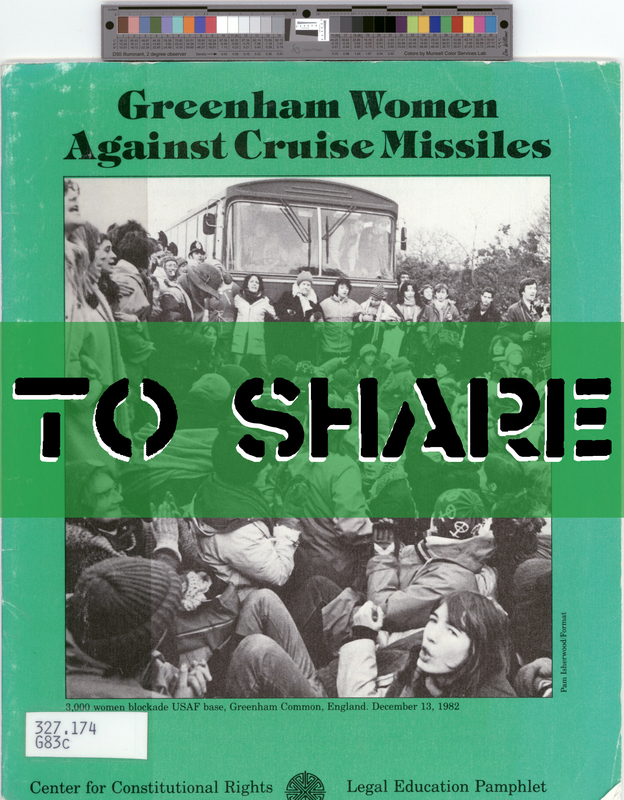 The periodical about the Greenham Common Women’s Peace Camp was chosen because of its vital history, and for their enactment of an ethic of radical democracy against militarism and their creation of a common space of resistance within their peace camp. Therefore, this piece extends the life of this out-of-print publication as a digital artifact, and shares the inspiring history of this radical and ethical democracy in action. This project was created for Virtual Verbs.